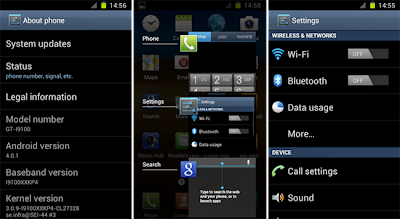 Another week another release, Sammobile is making us happy once again with a newer version, I9100XXLP2, and this is how you can install it. Before the instructions, I want to remark that this version is still an Alpha Release and it's not recommended for daily use. According to Samsung, the final release will be released in Q1 2012 (in 1 or 2 months). So no more talk, let's start! Interface: Nothing in case of XXKPA. The overall score about this FW is good.